Idaho law requires you to hold at least the minimum amounts of required car insurance coverage. However, you may also purchase a number of optional insurance coverages to help protect you further. Your Idaho car insurance policy must also include uninsured/underinsured motorist liability coverage. The minimum limits for uninsured motorist coverage is the same as those of liability coverage as shown above. This policy pays for injuries that result from an accident with a driver with inadequate insurance cover, or a driver without insurance. NOTE: You can opt not to purchase uninsured motorist coverage; however, this must be done in writing. Multiple individuals may be found at fault in the event of an accident but at varying degrees of fault. You will only be awarded damages if you are found less at fault compared to the other party. It is important to note that your compensation may be reduced depending on your degree of fault. If you were found to be 20% at fault in an accident, your settlement can be reduced by 20%. 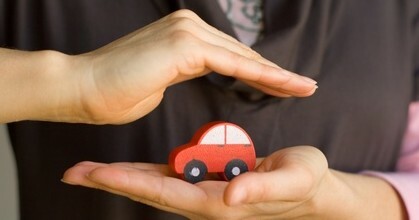 Drivers with poor driving records may have a difficult time finding a car insurance company to insure their vehicles. If you find it hard to get a car insurance company through open market, you can apply for car insurance policy through the Idaho Automobile Insurance Plan. This association helps high-risk drivers to get car insurance. But remember that car insurance through Idaho Automobile Insurance Plan comes with higher premiums because of higher risks involved. SR-22 must be submitted through your car insurance carrier to the Idaho Transportation Department. If you have a complaint that you intend to submit, read various DOI’s guidelines on how to submit complaints. You can then submit it online, fax or mail using the address listed on Consumer Complaint Report form. These discounts can save you a lot of money, but the best way to obtain a cheap insurance for your car is by maintaining a clean driving record.